I have crossed the Atlantic by cruise ship three times now and loved it every time. Still, it’s not for everyone. Even if you like cruise travel it doesn’t guarantee that you will enjoy a transatlantic crossing. Here are some things to consider when making that decision. One thing I love about transatlantic cruises is that I’m guaranteed dinner and a show every single night – at no extra cost! 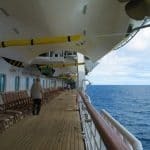 While this is true of most cruise ships, the difference on ocean crossings is that the caliber of entertainment seems to be a notch or two higher than on more port-intensive cruises. Another fun thing is that the entertainers are crossing the ocean with you, so it’s possible to bump into them when they are off stage and on vacation, just like you. As a result, not only have I shared midnight snacks with a lively group of Beatles impersonators, but I’ve watched a sunset with a magician, and enjoyed lunch with a jazz saxophonist. It’s possible to make friends on any cruise you take, but with transatlantic crossings there is a deeper sense of camaraderie. You don’t just see your table mates at dinner, but you often bump into them throughout the day. My husband and I remain friends with the folks we met on our crossings and even plan to visit them later this year. No matter what I’m up to, I make a point to get out onto the observatory deck in time for the sunset each evening when I’m on a transatlantic cruise. 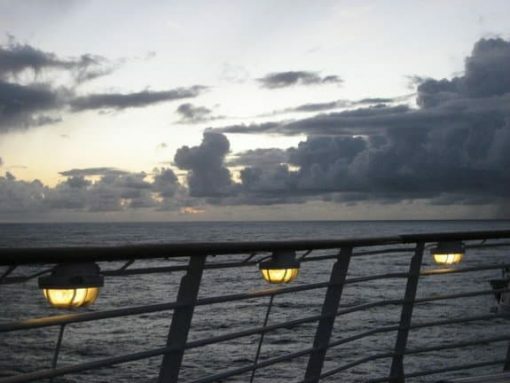 In all the research I did about cruising, no one mentioned how magical sunsets at sea are. I’ve seen some beautiful sights such as the moon rising off the water’s edge, distant storms and the reflection of clouds on the water. It’s different every day, and as many photos as I’ve taken, they really don’t do it justice. Also, when the skies are clear, mid-Atlantic stargazing is phenomenal. There is absolutely no light pollution, which makes it seem as though a celestial being polished up each star just for you. When there is nothing but water and waves for as far as the eye can see, it really gives you a sense of how large our planet is. Transatlantic cruises have given me a new sense of admiration for maritime explorers in their tiny ships who made the same crossing without the benefit of modern technology. Sure, you can opt to use the ship’s cell phone tower and internet service, but it’s pricey, which I find gives me the perfect excuse to unplug from everything and focus on vacation fun to the exclusion of everything else. 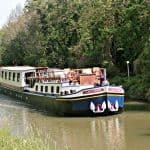 You pass through roughly one time zone per day on a transatlantic cruise, which means that by the time you reach land again you have very little, if any, jet lag to deal with. Now that I’ve crossed the Atlantic in both directions, I think it’s best when you take the ship from Europe to America instead of the other way around because for several days in a row, you get to add an extra hour to your sleep schedule. It’s like sleeping in each day without feeling lazy, adding an extra layer of relaxation to your trip. 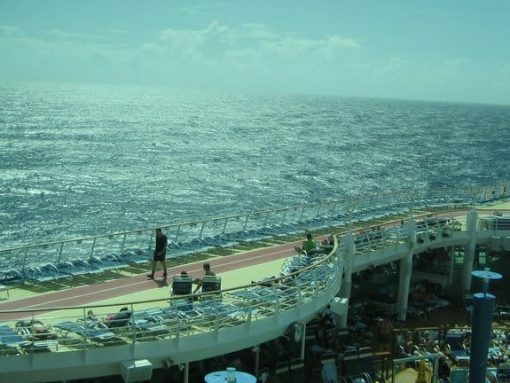 Ultimately, whether or not you enjoy a transatlantic cruise boils down to whether or not you enjoy days at sea. 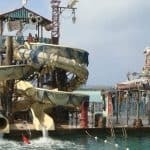 The cruise lines do their best to keep a busy roster of activities for guests to take part in: card tournaments, movies, dance lessons, art lessons, enrichment lectures and so on. 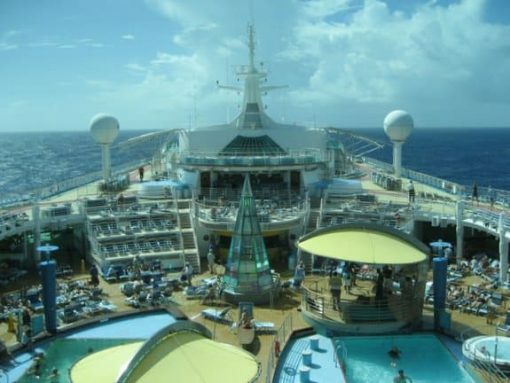 Cruise ships also usually include a casino, several bars, an exercise room, plus pools and hot tubs. Even so, I must confess that I worried about boredom the first time I crossed the Atlantic. I even took half a dozen books with me – and barely made it through one, which I read mostly at the airport on the way home. 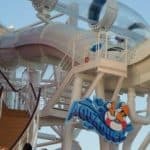 If you have been on the fence over whether or not to try a transatlantic cruise, I hope this article helps you decide. Of course, like anything in life, you won’t really know until you take the plunge.